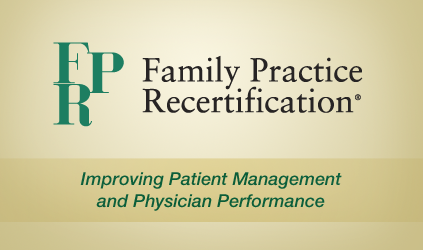 Primary Care Docs: I Am Looking At You! I return to my mission of teaching primary care doctors about anxiety disorders, as a way of sensitizing them to the suffering of mental distress. 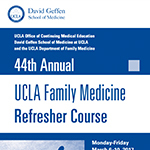 Today, I spoke at the 44th Annual UCLA Family Medicine Refresher Course, a conference I have participated in for over 25 years. 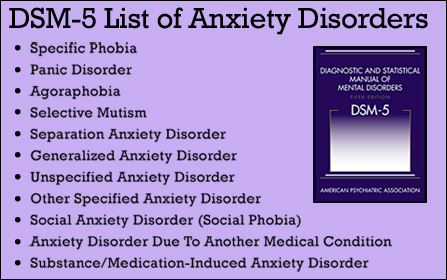 My slides have been updated to include DSM 5 diagnostic system. A few new medications, but not many, have been added to my presentation. Mostly, my talk has changed in form and not in substance, meaning that I make a deeper plea for taking time with patients to determine why they are anxious, along with a plea to give anti-anxiety medications with caution, but at the same time, not withhold them from those who are temporarily overwhelmed with their circumstances. In two months, I give a similar talk at Prime-Med, a larger audience of primary care, but my message will be the same. Anxiety is a starting point, not an end-point. Stay curious and help the patient understand himself and what meaning the anxiety has for his life. Yes, this takes time, I say, and yes, I know you are not reimbursed for that time, I say, but that time is essential to helping the patient cope with the stressors, both internal and external, that he faces. At the end of my presentation, the questions are predictable. “What do I do with a patient who won’t come in because he does not want to pay his co-pay?” An audience member asked, knowing that I had no answer for that. “Tell him that management of his issues requires time and patience, and that you cannot short-change him of that, while at the same time understanding that co-payments can be a burden”. I say, knowing that this will not convince the patient to come in, but it might help the physician stand her ground. As with all of my presentations, I review the history of psychiatry, those wonderful days before we had medications, where we offered deep listening and thoughtfulness, and I sadly state that those days created a field in which thinking was valued, and time with patients was essential. This contrasts with today, where algorithms rule the evaluation, and time is crunched for “efficiency” which in my mind means poor care. So, all you primary care docs out there, wanna come to the happiest place on earth on May 11, 2017 and hear me say this one more time? I would welcome your questions. Talkin’ To A School District! 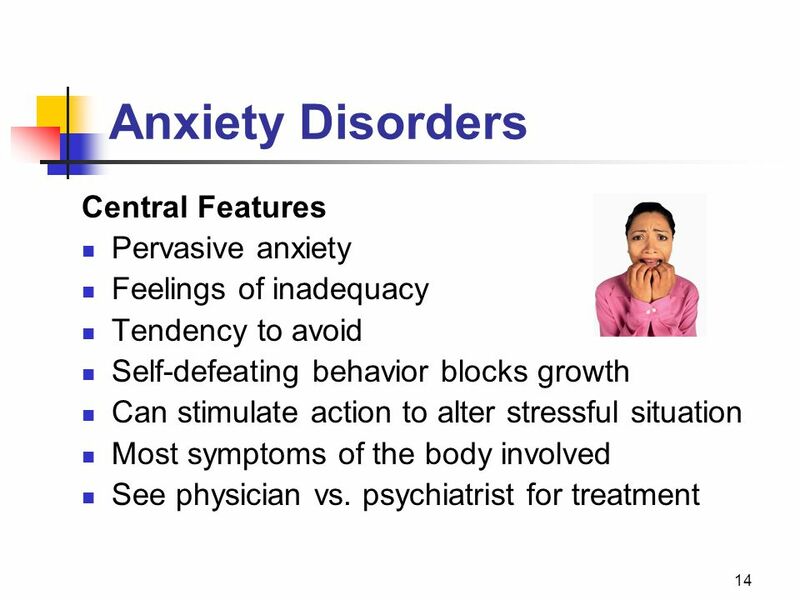 A school district “community health and safety advisory committee” wants me to talk about childhood anxiety disorders? Oh yes, sign me up. Why does this excite me? I feel that I have a public health mission to educate school professionals about childhood suffering, helping them to understand when they should intervene. I want to talk about the warning signs and then, most importantly, I want to talk about the referral process so that the administrators understand that depending on who they refer to, the child will get vastly different interventions. I also want them to understand the issues surrounding medicating or not medicating school-age children. In particular, I want to emphasize the role of the school personnel in aiding the assessment and treatment of children with anxiety disorders. This will no doubt bring up the issue of the school refusal kids. 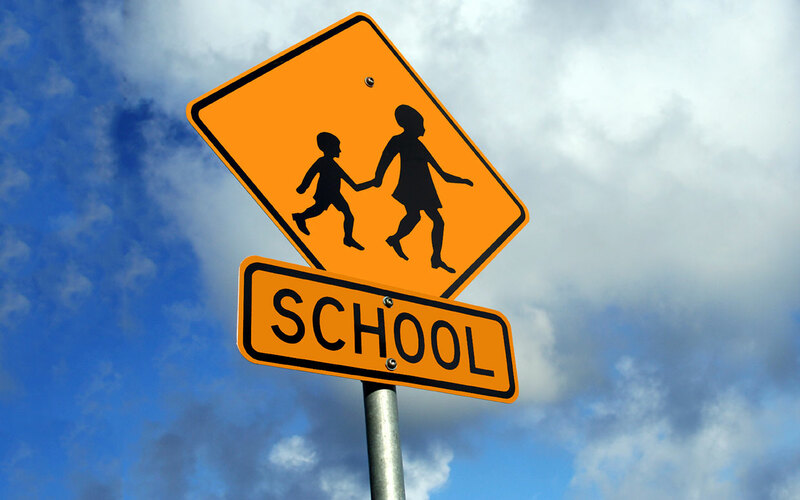 How does the school help if the child does not make it to school? Does providing online support help or hinder these kids? Hinder, will be my response, in that the school needs to provide a safe place for that child at school so that if the anxiety erupts, the child can stay at school, but go to a counselor who can give this child some comfort and support. Anxiety disorders are internalizing disorders meaning that unlike ADHD where the student typically disrupts learning, with anxiety, children tend to suffer quietly. As such, it is helpful if school personnel can try to attend to the child who is NOT demanding attention, but yet is lonely or lost on the playground. I have dreamed that both public and private schools could target these quietly suffering children for intervention, as this gives so much hope for helping these children live more fulfilling lives. Helping a lonely child, a lost child, develop connections such that they enjoy and look forward to school is a game-changer. As we all know, the future is in our children. These children growing up will take charge of our world, and we hope, they will bring it to new and exciting places. We owe it to them to help them enjoy their childhoods, as part of enlightened self-interest, since we want them to take care of us one day. I am on a very important mission. Wish me luck. Anxiety is often a stimulus for growth, but when it becomes paralyzing, it is termed a “disorder”. On the other hand, no anxiety can mean mental “deadness” and that may represent developmental stagnation. The sweet spot of anxiety is the discomfort on the journey to new challenges, and yet to get to this “sweet spot” is a non-linear path. Medicating anxiety is often helpful, but at the same time, it side-steps the notion that anxiety which is overwhelming is often more a reflection of self-esteem than a problem with “anxiety”. Psychic withdrawals often produce calm states of mind, but at the price of developmental growth. Similarly, addiction is a form of psychic withdrawal, which temporarily relieves anxiety, but long-term causes immaturity and bodily destruction. With this conundrum I am left wondering about our diagnostic system which classifies “Anxiety Disorders” as a condition warranting treatment, as opposed to an “immaturity disorder” which is a condition warranting psychic growth. It is politically incorrect to term those with “Anxiety Disorders” immature, and yet, for the moment, I would like to entertain that notion. Perhaps maturity means a certain calmness in handling life’s irregularities. Perhaps anxiety is a signal to promote growth and development, to help the patient “grow up” and manage life. Perhaps it is wrong to give these folks a medical diagnosis which promotes the sick role, as opposed to a psychological diagnosis which mandates them to develop coping skills. Chad, fifty-four year old male, comes to mind. He quit his executive job because he was having panic attacks. He now stays home and reads books, while his wife and three children leave the house to go to work and school. He says he is “disabled” by his anxiety, and that “no one” can help him. His “panic disorder” qualifies him for disability, so he receives a monthly check. I wonder what would happen if his panic attacks did not qualify him for disability. I wonder if he would then feel the need to re-boot his life to a job that gave him more satisfaction. Chad is not anxious now and he is not on medication, but then again, he hardly leaves his house on weekdays and his weekends are spent driving his kids around. Is Chad immature by my account? Yes and no. Chad had a good job for many years but when he was passed over for a promotion he felt humiliated and started having panic attacks. He left his job and his symptoms immediately went away. Chad needs to take this humiliation as a step towards finding a new way to be in the world, rather than retreating to a safe, but stifling existence. We, as physicians, should not encourage him to take on the sick-role, but rather we should facilitate him in finding his next career move, by exploring different areas of satisfaction for him. A more positive psychology, one based on the notion that humans want to live in deeper and more meaningful way, would be far superior to a medical model which promotes disability and stagnation. Are Symptoms Random Or Do They Have Meaning? Mental health, Freud says, is the ability to love and work. Inhibitions to mental health should prompt treatment, in that the removal of inhibitions, the work of psychodynamic psychotherapy, frees the ego, the self, and allows the mental expansion into deep feelings of love and fulfillment. 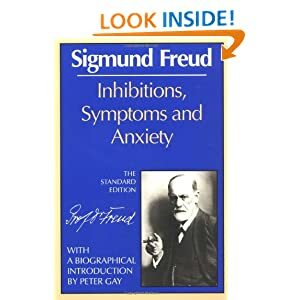 “That there is a relationship between inhibition and anxiety is pretty evident.” Freud, said in his paper, referenced above. “Some inhibitions obviously represent a relinquishment of a function because its exercise would produce anxiety,” Freud continued. In other words, to avoid anxiety, we humans, constrict our activities. This avoidance could be conscious or unconscious. We can tell ourselves we love routine, when we really mean that we are too anxious to explore new choices in life. This choice to stay in routine and avoid novelty is not symptomatic of mental illness, but when this rigidity interferes with the ability to “love and work” then Freud would say, there is a mental problem. Often, this rigidity can be seen as “spectrum” disorder, meaning that the person has a limited life because of some brain wiring problem, but many “spectrum” diagnoses are often missing, and hence mislabeling, the anxiety issue. “Inhibition is the expression of a restriction of an ego-function” Freud continues. Arsi, thirty, comes to mind. I have known him since he was twelve and the previous clinician explained to me that he was on the “spectrum”. After many years of working together, Arsi has described trauma, an issue he had never talked about, which led to such severe anxiety that he restricted his life considerably, and thereby appeared to be on the “spectrum”. His shameful trauma, that he was reluctant to disclose for many years, overwhelmed his ego, such that he could only cope by restricting his life considerably. His only source of soothing was videogames, which to others made him look on the “spectrum” but to me was based in horrible fear of re-traumatizing himself. In a symptom check-list, Arsi does not identify anxiety as an issue, but upon further exploration, this deeply shameful trauma led him to a life of a recluse. Prodded to go out and develop friendships, Arsi, after many years, and after disclosing the trauma, made meaningful friendships which he now treasures dearly. Arsi is a loyal friend, and fortunately, and through our work together, he has found similarly devoted people who share his interests and deeply care about him. Did he leave the “spectrum”? I would say he was never on it. He was traumatized, resulting in unconscious anxiety, resulting in massive social inhibitions. Sometimes, not all the time, I want to bring Freud back. He said some pretty brilliant insights into the workings of the mind. More specifically, I give him credit for my ability to help Arsi. It is nice to stand on his shoulders, sometimes! Amaranta, fifty-four, is really worried about her son, Kevin, going to college. Unlike the usual worries of college admission, personal safety, new-found independence, and/or substance abuse, Amaranta is worried what will happen when Kevin finishes school. “What happens to these kids?” She asks, not expecting an answer, but pondering the loneliness and isolation one might feel when one completes a degree, but has no skills. “Don’t you think Kevin will figure it out?” I say, trying to understand why she is projecting into his future and then making herself anxious. “I don’t know. I wish I knew.” Amaranta declares, as if her anxiety is a foreign-body. Knowing that Amaranta had a circuitous path to her now highly successful career, I wondered aloud about why her path does not help her with her anxiety about Kevin. “I think I got lucky,” Amaranta said, disavowing her intelligence, her hard work and her forward-thinking. “You mean that you don’t feel ownership over your career path. You feel like you landed here from a spacecraft.” I say, highlighting her view that she did not engineer her future. “Yes, that is how I feel,” Amaranta replies, helping me to understand that if she feels her career was so random, then I can understand how she could mount such heavy anxiety with regards to Kevin. The issue, it seems to me, is not about Kevin, but about how she does not feel agency over her life’s path. She does not feel confident in herself that she had the skills to find a life with both personal and financial satisfaction. This causes her anxiety. As with a navigation system, together, Amaranta and I could recalculate our path, and focus her anxiety away from Kevin and on to her own sense of insecurity. Anxiety is the tip of the iceberg, as Freud would say. Digging deeper validates his view. Zoloft Magic Or Poor Public Relations? Nona, Carol’s mom, https://shirahvollmermd.wordpress.com/2011/10/28/zoloft-magic/ came to tell me that I “saved her daughter’s life. You just don’t know how hard it was for me to find you. I saw so many specialists and no one suggested Zoloft, yet it has made such a big difference, I just can’t tell you.” Nona tells me with glorious praise. “I appreciate the gratitude, but I also feel terrible that you had such trouble finding the right kind of physician to help Carol. I wish there were a public relations campaign which helped the lay public understand that if their kid has extreme worries, then there is relief available.” I said, thinking that both the professional community and the lay public are unclear as to how children suffer from anxiety and how there is relief available. “Child Psychiatry should launch a campaign like the anti-smoking advertisements, which let people know that cigarettes were dangerous.” I say, articulating my fantasy to Nona. “Yes, but it is hard to prove the damages with an anxious kids. People die from cigarettes, but with kids there is no tangible problem with anxiety.” Nona explains to me in a way that makes tremendous sense. “Yes, it is not like kids end up in a wheelchair because they did not get Zoloft. The crippling of anxiety is much more subtle than that.” I say, knowing that in some ways mental illness is invisible in our society, yet in other ways, like when kids have no friends or they have multiple negative self-statements, mental illness is painfully visible. “Maybe you should just accept the gratitude,” Nona tells me, as if I am being self-deprecating. “I appreciate what you are saying, and I do feel good that I have helped Carol, but I also feel bad about your journey with Carol before you landed in my office. Both the educational institutions and the multiple medical professionals all sent you down blind alleys. I wish they had sent you to a child psychiatrist in the beginning of your journey since that would have saved you and Carol a great deal of grief.” I say, wondering why child psychiatry can be so obscure to so many people in the field of child welfare. I do want to see a public relations campaign which educates people about Child Psychiatry, in that we help children enjoy their lives so that they can grow and develop in the best possible way. What do YOU eat for anxiety?